We are absolutely in LOVE with Northcote Pottery’s brand new PrimoLITE pots! It’s hard to imagine that these beauties aren’t glazed ceramic, but instead, made from a durable, high density, high quality resin. PrimoLITE pots are lightweight, easy to move and rearrange, and ooze sophistication. We recently asked our Facebook Fans what they would plant in theirs, and there were some fantastic ideas shared! Gorgeous flowers, bold foliage, succulents, herbs and veggies – what a great range of planting ideas mentioned! It just goes to show – Northcote Pottery’s PrimoLITE pots suit just about any plant and any garden! We decided to join in the fun and have a go with naming our favourite Austraflora native choices for the three different coloured pots. Fresh and fun, this pot would ‘pop’ with just about any bold flower or showy foliaged plant. 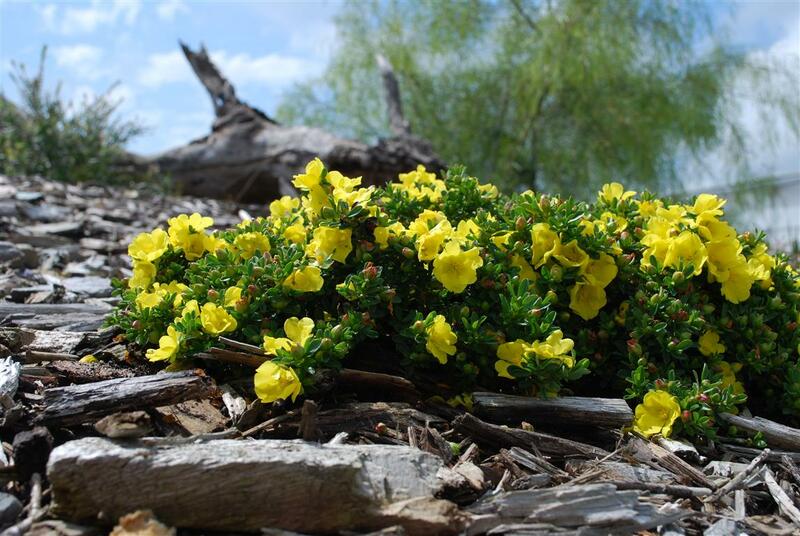 Our top choice for a bright and sunny plant is the aptly named Hibbertia Sun Shine. 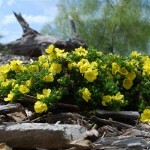 A soft lush-foliaged compact shrub. We especially love the year round, lightly perfumed golden flowers which cover the plant, attracting butterflies on warm days. Bright and oh so beautiful! Cool and calming, we love this serene pot teamed with a softer plant option. Texture and soft colours would look so lovely in your garden. 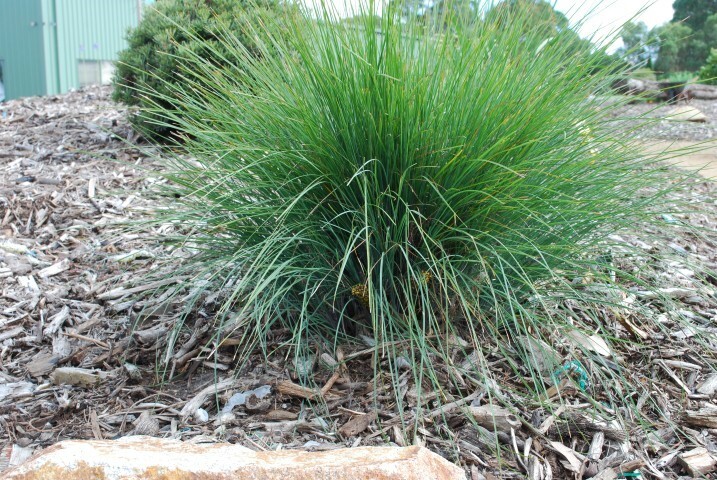 Our favourite choice is Lomandra Frosty Top. 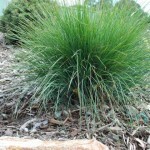 A low maintenance grass with very narrow weeping foliage in a soft grey-green colour. The flowers appear autumn through to spring and are a creamy yellow colour with a purple tint at the base. Fine and sweeping, it will soften any spot in the backyard. Stylish and elegant, the Burnt Sienna PrimoLITE pot would be a show-stopper with a striking designer feature plant. 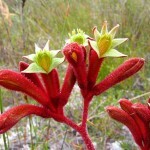 Our choice for a fashion-forward pot is an exciting Austraflora new release plant – our Anigozanthos Clear Red. 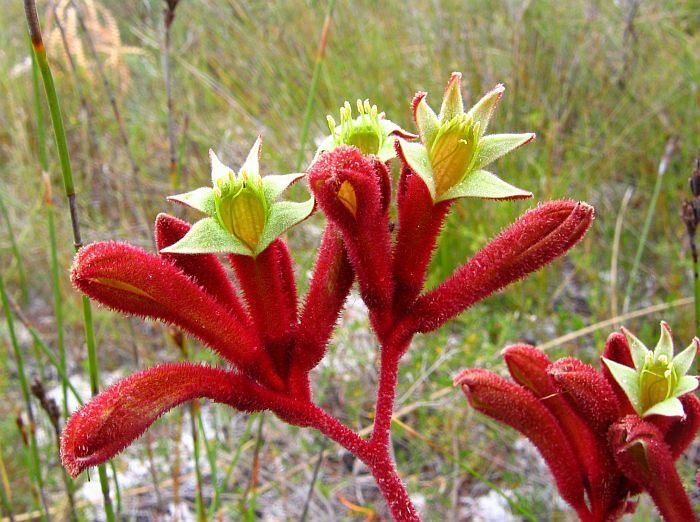 It is an attractive kangaroo paw with blue-green foliage and a spectacular deep red flower display from late autumn to spring. We love how compact it is, and easy to look after. It’ll be sure to turn heads!